Jump from a suspension bridge ? Rafting Level 5 ? Trekking high and medium mountain? Safaris? Interaction with indigenous ancestral South ? Kitesurfing in El Yauqe ? 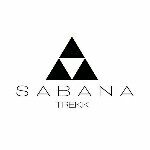 Sabana Trekk takes you to incredible destinations in Venezuela while they enjoy doing activities that could connect with the wonders of nature. efficient, safe and reliable travel throughout the national territory! Demographic data for @sabanatrekk's audience is available for free to influence.co users.